CUSTOM CUT BACKING FOR MATS AND FRAMES! Cardboard is a sturdy, inexpensive option for non-archival framing. We supply cardboard with a white surface on one side for a more finished look. Flawboard is matboard that may have slight defects. Regular or acid-free is available. Foamcore works well for most backing situations, but generally is more expensive. Several thicknesses, qualities, and colors are available. 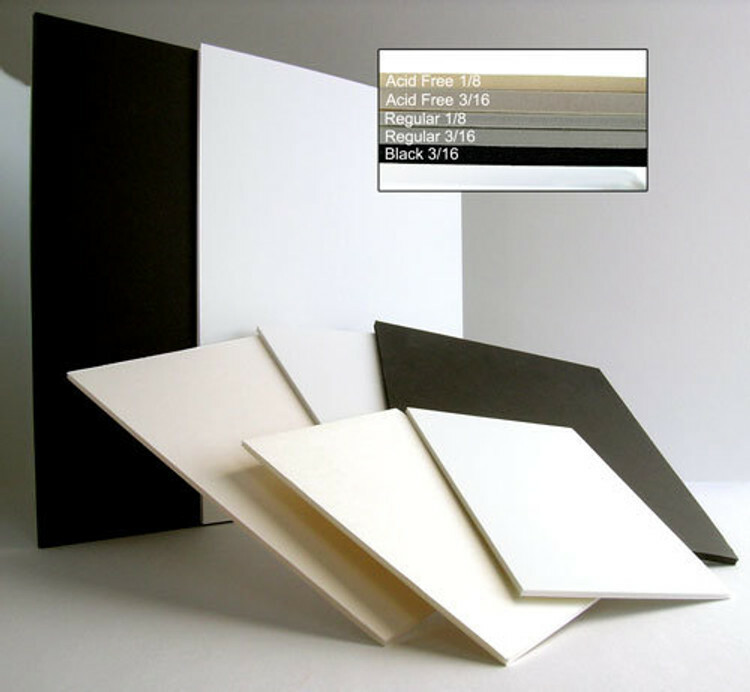 Manilla board is our least expensive option and is ideal for sizes 11x14 and under. Looks great in non-framed presentations such as in a poly bag.